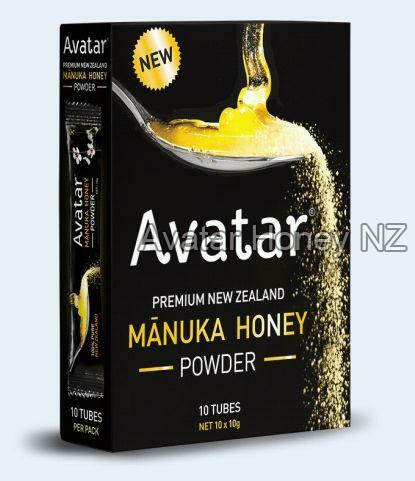 Our specially formulated manuka honey powder is made from Avatar Manuka Honey. This fantastic sugar alternative is great for so many uses including sprinkling some over your morning cereal or into your coffee or tea. You can even make an instant delicious honey lemon drink by simply adding to hot water and a squeeze of lemon. Our kids love it sprinkled over their popcorn and we even sprinkle it over fruit and nuts. Fantastic for use in cooking, baking, stir-fry’s, meat rubs and one of our favorites instead of brown sugar we sprinkle manuka honey over fish just before we pop it into the smoker. Colors & packaging available 10g Foil tubes, Foil Pouches of varying sizes from 100g up to 5kg.